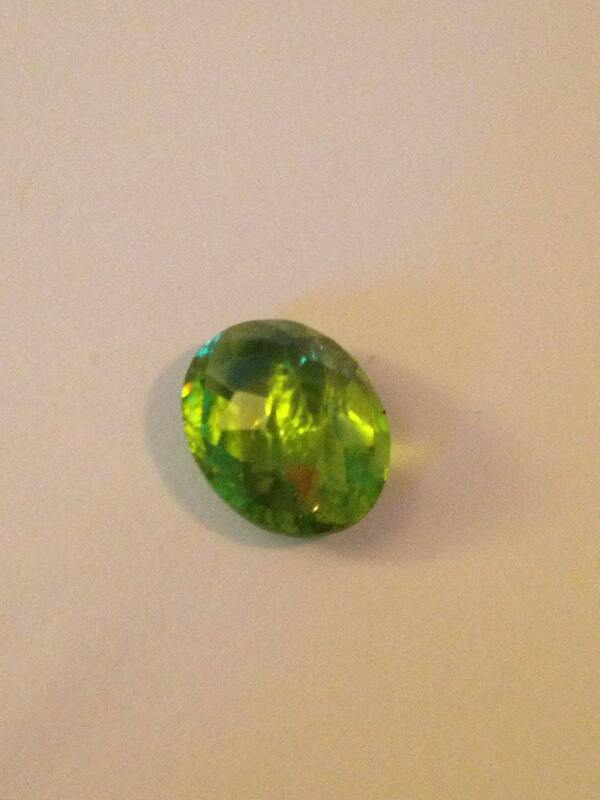 Offered here is a brilliant grass green peridot oval cut faceted gem. This would be excellent in jewelry making or a beautiful craft project. 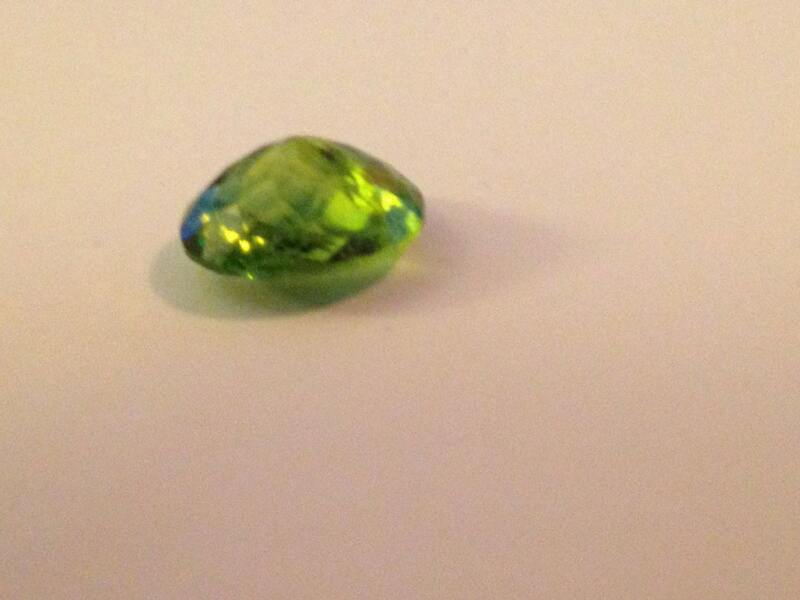 Total weight on my scale is: 3.5 ct. 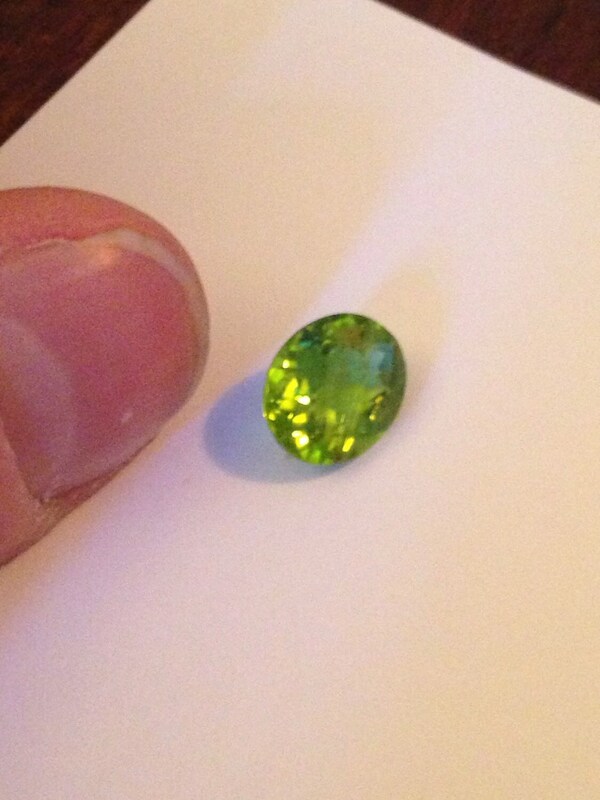 Roughly (5mm X 9mm x 11mm). 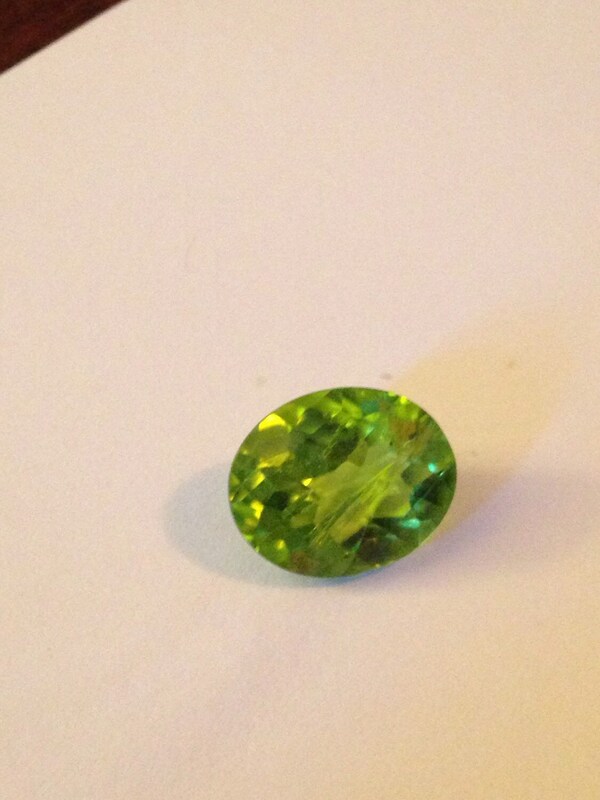 Great bright color but internally flawed with a large feather and some internal inclusions. The cut is quite clever and minimizes this.